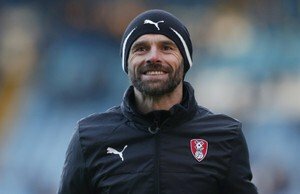 Rotherham United have two league games left before they start preparing for the play-offs. Should they win these last two games they will equal the third highest points tally in a season by a Millers side, which will be eighty-two points. ‘That would be hugely impressive,’ Warney told Radio Sheffield. ‘We set off at the start of the season looking for seventy-two points, which we discussed in Austria, thinking it would be enough to get us into the play-offs. ‘Getting into the eighties would be brilliant but I just want to carry our recent form into the play-offs. Whether that’s a couple of wins or a couple of draws our total doesn’t really matter now.